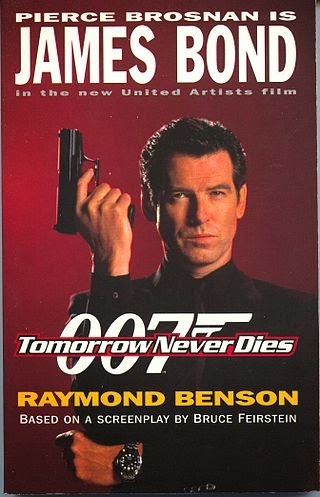 Tomorrow Never Dies was the first of three Bond films to be adapted into books by then-current Bond novelist, Raymond Benson. Benson's version of Bruce Feirstein's screenplay is suitably expanded, and includes some nods to past Bond films, including the suggestion that Bond was lying when he said he had taken a course in Oriental languages in the movie You Only Live Twice. The book is styled more after Fleming's novels as opposed to the film with detailed backstories given to characters such as Elliot Carver, Stamper and Paris Carver, missing from the film, which gave the characters more depth.